Choosing the right materials are essential to maintain the integrity of sewerage plants. A specialist sealant application field for sealants is gasket or joint sealing in sewerage plants and tanks which are of various uses, e.g. digester, water tanks and plants for industrial or domestic waste water. The tanks are bolted together and where the overlapping area in between, it is sealed, with an elastic sealant of if out of concrete where the movement joint has to be sealed water tight. 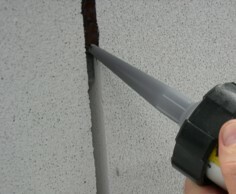 Depending on the filling goods and storage temperatures a sealant material with a high quality is required. Its is important that the sealant meets the main requirements, such as high acidic resistance especially against organic acids, resistant against liquid manure, silage liquid and waste water, etc.